In autumn 2008 the world was shocked by a financial crisis which has affected the economy. Cities, as focal points of socio-economic processes have experienced the consequences in a concentrated way. Though information on the real effects is scarce, it has been on the agenda of events and conferences to better understand the impacts and possible aftermath. 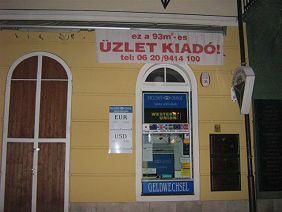 The annual conference of the Hungarian Society for Urban Planning in 2009 contributed to the better understanding of the diverse aspects of the crisis in the field of urban planning. The conference held in the town of Siófok provided floor for discussion to find answers to the questions what could be the possible responses to the economic crisis, what is the impact of the crisis on the availability of resources for urban development and what are the potentials in urban-rural relations. The results of the discussion were summed up in each of these themes to help all the stakeholders of urban planning to build on the common knowledge and cope with the challenges accordingly. The so called “Siófoki Agenda 2009” has gained intense media reactions in Hungary. The economic crisis gives opportunities for substantial developments in a city. The needs force innovative solutions and offer a chance to overcome the problems in a completely different way, thus fostering the changes in systems. This has potentials especially in the views of political and market relations, the planning and research practices as well as in the philosophy of administration and management. New forms of governance may bring the harmonious and cooperative development of cities and their hinterlands, cities may be forced to realise the advantages of integrated approach in urban development where the different aspects of sustainability can be pursued and the city can be directed to a development path, which respects the socio-economic as well as environmental well-being of the inhabitants. Cooperation plays a crucial role in finding new ways for development. Policy making can rely more on the views of different stakeholders by creating ways of governance and participatory planning systems, which increases the sustainability of urban development. However, on the other hand, new ideas coming from others may boost innovative techniques to cope with the new challenges created by the crisis. In this respect the role of knowledge sharing is outstanding. The Hungarian Focal Point of European Urban Knowledge Network issued a newsletter on cities in crisis in order to help urban practitioners cope with the arising challenges on a common knowledge base. URBACT can further help cities to learn from each other and find innovative solutions to recent impacts of the global economic crisis together.